Have You Missed John Sage's Accessibility Videos on Facebook? Home »Disabled Travel Newsletter »Have You Missed John Sage’s Accessibility Videos on Facebook? Have You Missed John Sage’s Accessibility Videos on Facebook? Have you my missed my accessibility videos on facebook? We’ve been sharing several of my accessible travel review videos on our page, and will be adding more within the next couple of weeks! If you want to see more videos like this, make sure to like our Sage Traveling Facebook page! escorted group travel options within the next couple of weeks! 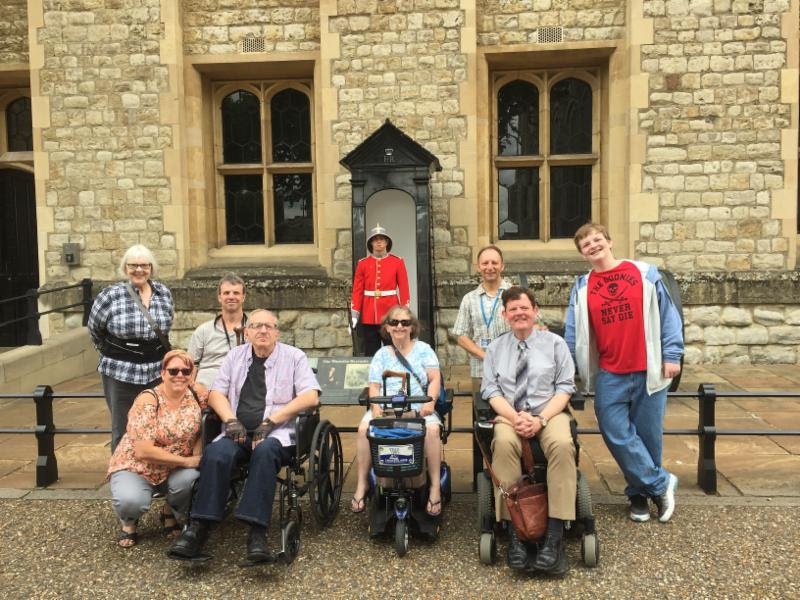 Take a look at this wonderful review we just received on our London/Paris Group Trip from last month, escorted by our very own Senior Accessible Travel Expert, Desiree. ” We had a wonderful trip and would travel with Sage again. Everything went smoothly, from the advice on where to rent the scooter I would need to get around to the insurance for the trip. Since this is our first time travelling outside of our continent Desiree’s suggestions were very helpful. We came home feeling there was very little we didn’t see. Our able bodied friends were impressed with the itinerary. Desiree and Paul were very organized and helpful, if you needed anything they did their best to help. Most of all Desiree and Paul were fun people to be around, the trip felt like an adventure for them as well as us. It was almost like travelling with a friend than a professional who was all business. 2018 Accessible Escorted Group Trips! The options also be announced on our Facebook page!